I haven't received a link to set up my direct debit, how long does this take? If we receive your subscription Monday - Friday we will generally send you a link to set up your direct debit within 12 - 24 hours. If your subscription is received on a Saturday, Sunday or a bank holiday then we will send you the link to set up your direct debit on the next available working day. How do I change a delivery date? To change a delivery date please contact us on 01243 641 983 and a member of our team will be able to change the delivery date for you. 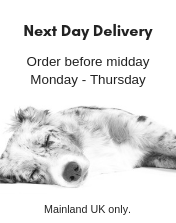 How do I cancel or pause a delivery? Please contact us on 01243 641 983 and a member of our team will be able to assist you. Upon ordering the subscription box, the first initial payment is taken through our check out process on our website and by card or PayPal. Once you have purchased the subscription box you will be emailed with a link to set up a direct debit with us. We use GoCardless to set up direct debits and the link will direct you to their website. Absolutely. GoCardless is a trusted and secure website. Please see their security page for further information. We will take a payment based upon the frequency of your deliveries, so either weekly, fortnightly or monthly. We will contact you after you have authorised the direct debit to discuss payment dates.